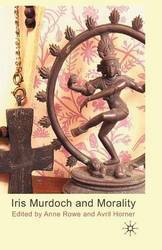 Iris Murdoch and Morality provides a close focus on moral issues in Murdoch's novels, philosophy and theology. 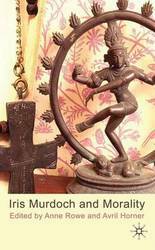 It situates Murdoch within current theoretical debates and develops an understanding of her work as a crucial link between twentieth and twenty-first century writing and theory. This largely chronological study of Iris Murdoch's literary life begins with her fledgling publications at Badminton School and Oxford, and her Irish heritage. 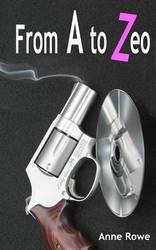 It moves through the novels of the next four decades and concludes with an account of the biographical, critical and media attention given to her life and work since her death in 1999. This book is about the map of an English county - Hertfordshire - which was published in 1766 by two London map-makers, Andrew Dury and John Andrews. For well over two centuries, from the time of Elizabeth I to the late 18th century, the county was the basic unit for mapping in Britain and the period witnessed several espisodes of comprehensive map making. The map which forms the subject of this book followed on from a large number of previous maps of the county but was greatly superior to them in terms of quality and detail.  It was published in a variety of forms, in nine sheets with an additional index map, over a period of 60 years. No other maps of Hertfordshire were produced during the rest of the century, but the Board of Ordnance, later the Ordnance Survey, established in the 1790s, began to survey the Hertfordshire area in 1799, publishing the first maps covering the county between 1805 and 1834. The OS came to dominate map making in Britain but, of all the maps of Hertfordshire, that produced by Dury and Andrews was the first to be surveyed at a sufficiently large scale to really allow those dwelling in the county to visualise their own parish, local topography and even their own house, and its place in the wider landscape. The first section examines the context of the map's production and its place in cartographic history, and describes the creation of a new, digital version of the map which can be accessed online . 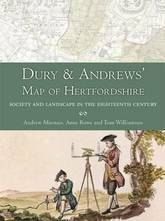 The second part describes various ways in which this electronic version can be interrogated, in order to throw important new light on Hertfordshire's landscape and society, both in the middle decades of the eighteenth century when it was produced, and in more remote periods. The attached DVD contains over a dozen maps which have been derived from the digital version, and which illustrate many of the issues discussed in the text, as well as related material which should likewise be useful to students of landscape history, historical geography and local history. Iris Murdoch was both a popular and intellectually serious novelist, whose writing life spanned the latter half of the twentieth century. A proudly Anglo-Irish writer who produced twenty-six best-selling novels, she was also a respected philosopher, a theological thinker and an outspoken public intellectual. 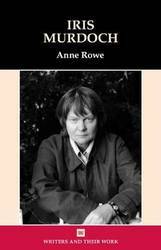 This thematically based study outlines the overarching themes that characterise her fiction decade by decade, explores her unique role as a British philosopher-novelist, explains the paradoxical nature of her outspoken atheism and highlights the neglected aesthetic aspect of her fiction, which innovatively extended the boundaries of realist fiction. 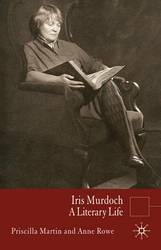 While Iris Murdoch is acknowledged here as a writer who vividly evokes the zeitgeist of the late twentieth century, she is also presented as a figure whose unconventional life and complex presentation of gender and psychology has immense resonance for twenty-first-century readers. Sacred Space, Beloved City: Iris Murdoch's London is a celebration of Iris Murdoch's love for London and establishes her amongst distinguished London writers such as William Blake, Charles Dickens and Virginia Woolf. Individual chapters focus on the City, London art galleries and museums, the Post Office Tower (now the BT Tower), the statue of Peter Pan in Kensington Gardens, Whitehall and the River Thames. Each chapter identifies intricate links between the environment and human consciousness and is accompanied by a corresponding walk that links Murdoch's plots to landmarks and routes. All essays and walks are illustrated with sketches by Paul Laseau. These drawings not only illustrate locations for identification but also conjure their atmosphere so that readers engage with how Murdoch's characters experience their surroundings. The final London Glossary is an annotated index of the London place names mentioned in all of Murdoch's 26 novels. 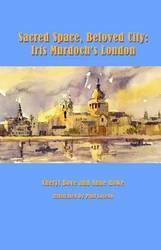 Sacred Space, Beloved City: Iris Murdoch's London is a celebration of Iris Murdoch's love for London and establishes her amongst distinguished 'London writers' such as William Blake, Charles Dickens and Virginia Woolf. Individual chapters of this title focus on the City, London art galleries and museums, the Post Office Tower (now the BT Tower), the statue of Peter Pan in Kensington Gardens, Whitehall and the River Thames. Each chapter identifies intricate links between the environment and human consciousness and is accompanied by a corresponding walk that links Murdoch's plots to landmarks and routes. All essays and walks are illustrated with sketches by Paul Laseau. These drawings not only illustrate locations for identification but also conjure their atmosphere so that readers engage with how Murdoch's characters experience their surroundings. The final London Glossary is an annotated index of the London place names mentioned in all of Murdoch's 26 novels. 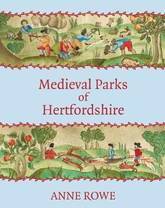 To date, over sixty medieval parks have been identified in Hertfordshire - a large number for a relatively small county. 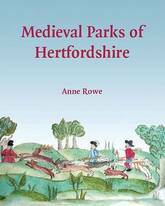 In this ground-breaking study of parks created in Hertfordshire between the eleventh and the fifteenth centuries, author Anne Rowe has adopted a holistic approach to landscape history. The geographical locations of the parks have been determined and, in most cases, mapped using a combination of field- and place-name evidence, old maps and detailed fieldwork. The documentary history for each park has been compiled, including, where available, details from manorial accounts, which provide an insight into park management in medieval times. All the data for each park is presented in a valuable gazetteer, together with the cartographic and field evidence which has been used to locate the parks in today's landscape. In addition, Anne Rowe has carried out detailed analysis of the parks and their owners and explains how the parks related to the physical and social geography of the county in medieval times. There was a marked difference in the numbers of parks in different parts of the county: the density of parks in the east was double that in the west. The underlying reasons for this pattern are explored, focusing in particular on the unusual relationship between the distribution of the parks and the distribution of woodland in the county at Domesday. Based on an enormous amount of original work, this meticulously researched book opens a window onto medieval Hertfordshire and illuminates a significant aspect of the county's landscape history. 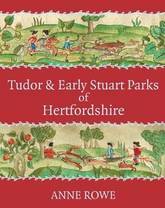 A second volume, Tudor and Early Stuart Parks of Hertfordshire (2019), is also published by University of Hertfordshire Press. This book forms a continuation of the research published in Medieval Parks, Anne Rowe's highly regarded volume of 2009. Now she turns her attention to the deer parks that existed in Hertfordshire during the sixteenth and early seventeenth centuries. Drawing on the earliest county maps, most notably those produced by Saxton in 1577 and Norden in 1598, and both State papers and estate records, Anne Rowe builds a detailed picture of Hertfordshire's Tudor and Early Stuart parks. At least 60 parks existed in Hertfordshire at various times between 1485 and 1642, but for only 46 of those parks is there evidence that they contained deer at some point during the period. These confirmed or probable deer parks form the focus of this study. Of course not all of them were sixteenth-century creations: less than one-third were `new' parks, the remainder had been in existence for much longer, in one or two cases being recorded in Domesday Book. In the first part of the book detailed evidence for who created and owned the county's parks and how they were used and managed is given. The dawning of design in Hertfordshire's park landscapes is also explored. Part 2 gives an account of the presence of the Tudor and early Stuart monarchy in Hertfordshire. Several monarchs and members of their immediate families spent significant periods in Hertfordshire and played a notable part in the history of its parkland; indeed, by 1540 Henry VIII held about 70 per cent of the parkland in the county. Part 3 is a gazetteer in which each entry brings together the documentary, cartographic and occasional field evidence available for a park, with a map showing its probable extent in the period covered. At this time hunting continued to be the most popular leisure activity, as it had been for centuries. Wealthy landowners enjoyed a range of hunting activities essentially unchanged from the medieval period, including deer- and hare-coursing on foot, falconry, fishing and wild-fowling. But the pursuit of a stag or buck on horseback accompanied by a pack of hounds was considered the noblest hunting experience. Based, like the first volume, on an enormous amount of original work, this meticulously researched book opens a window onto Tudor and early Stuart Hertfordshire and once again illuminates a significant aspect of the county's landscape history. 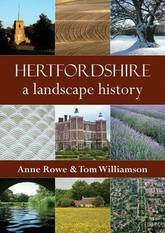 More than three decades after the publication of Lionel Munby's seminal work The Hertfordshire Landscape, Anne Rowe and Tom Williamson have produced an authoritative new study, based on their own extensive fieldwork and documentary investigations, as well as on the wealth of new research carried out over recent decades by others - both into Hertfordshire specifically, and into landscape history and archaeology more generally. The authors examine in detail the historical processes that created the county's modern physical environment, discussing such things as the form and location of settlements; the character of fields, woods and commons; and the distinctive local forms of churches, vernacular houses, and great mansions, along with their associated parks and gardens. Both the rural landscape and that of Hertfordshire's towns and suburbs have their particular stories to tell, and the book reveals how the landscape is itself an important source of information about the past. The great diversity of Hertfordshire's landscapes makes it a particularly rewarding county to study. Dividing the county into four broad regions - the 'champion' countryside in the north, the Chiltern dip slope to the west, the fertile boulder clays of the east and the heavy, unwelcoming London Clay in the south - the authors show how, in the course of the middle ages, natural characteristics influenced the development of land use and settlement to create a range of distinctive landscapes. Change was small-scale and piecemeal and the development of the medieval environment organic and gradual. The authors argue that even the layout of the county's medieval towns was usually the consequence of gradual growth, rather than of deliberate 'planning'. Variations in farming economies, in patterns of trade and communication, as well as in the extent of London's influence, all added to this variety in the course of the post-medieval centuries, and the authors track Hertfordshire's continuing evolution right through to the twenty-first century. Lavishly illustrated with maps and photographs, this authoritative work will be invaluable reading for all those with an interest in the history, archaeology, and natural history of this fascinating county. To date, over sixty medieval parks have been identified in Hertfordshire - a large number for a relatively small county. In this ground-breaking study of parks created in Hertfordshire between the eleventh and the fifteenth centuries, author Anne Rowe has adopted a holistic approach to landscape history. The geographical locations of the parks have been determined and, in most cases, mapped using a combination of field- and place-name evidence, old maps and detailed fieldwork. The documentary history for each park has been compiled, including, where available, details from manorial accounts, which provide an insight into park management in medieval times.All the data for each park is presented in a valuable gazetteer, together with the cartographic and field evidence which has been used to locate the parks in today's landscape. In addition, Anne Rowe has carried out detailed analysis of the parks and their owners and explains how the parks related to the physical and social geography of the county in medieval times. There was a marked difference in the numbers of parks in different parts of the county: the density of parks in the east was double that in the west. The underlying reasons for this pattern are explored, focusing in particular on the unusual relationship between the distribution of the parks and the distribution of woodland in the county at Domesday. Based on an enormous amount of original work, this meticulously researched book opens a window onto medieval Hertfordshire and illuminates a significant aspect of the county's landscape history.